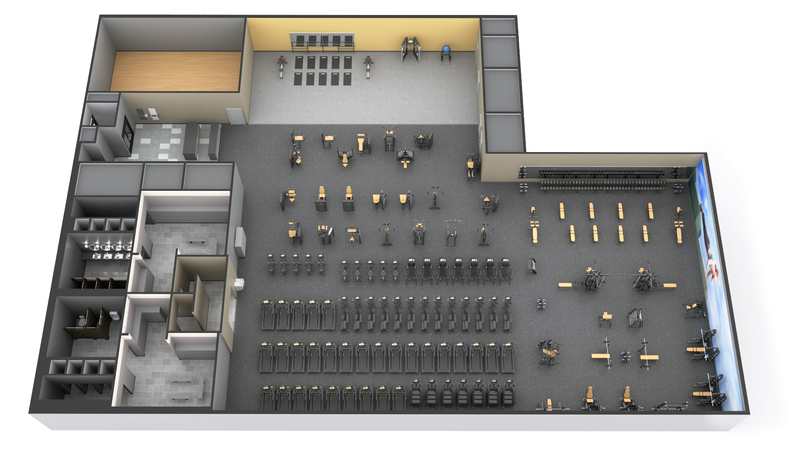 Don’t underestimate the importance of health club layout. 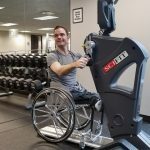 No matter what kind of fitness facility you have, selecting the right pieces of equipment and knowing where to put them is key. After all, if you want to impress upon your members an inviting, welcoming feeling — and keep them coming back — you need to make sure your gym’s layout is on point. 1. Create separate training areas. Think about the experience of your members and how they best they can understand and move through the different areas of your facility. Separate the group fitness from the free weights areas and the cardio in clear ways. You can signal these different areas with different colours and materials of flooring, as well as walkways and visual signs. 2. Embrace the digital possibilities. Life Fitness is at the forefront of the digital fitness revolution, not only with our HD cardio consoles with real-time fitness tracking and entertainment options for members, but also in our new Halo Fitness Cloud management system, designed for managers to be able to more easily manage and track each piece of cardio equipment, such as how popular each unit is. Armed with this data, you will be better able to make choices about whether to move equipment around, replace or upgrade if a treadmill is showing signs of age, and ensure that your most popular units are in the best positions. 3. Arrange your equipment logically. Think about the logical progression an exerciser might make from one piece of equipment to the next. For example, Gym and Group Team Leader Jonathan from Splash Aqua Park and Lesiure Centre in Craigieburn, Victoria laid out the gym so that it progresses from beginner to advanced as you move through the club (see the embedded video below). 4. Keep the big-ticket items further into the facility. If you have an impressive piece of equipment, such as the SYNRGY360 or HD Athletic Rig, placing these showstoppers towards the back of the gym will create a sense of curiosity and encourage your members to explore further. 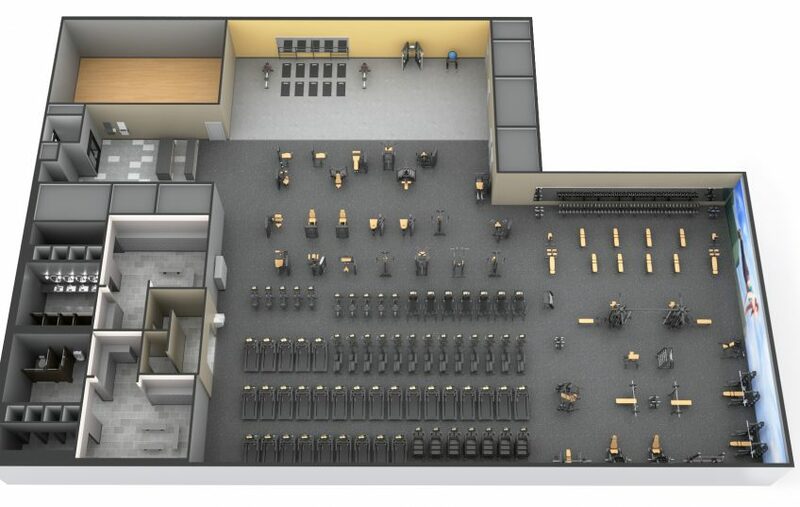 This might be particularly useful when showing prospective members around the gym, as they will get to see more of the gym when being escorted to the group fitness or rig area. To read the full article, visit the US Life Fitness website. If you would like help fitting out and designing your club, get in touch today.